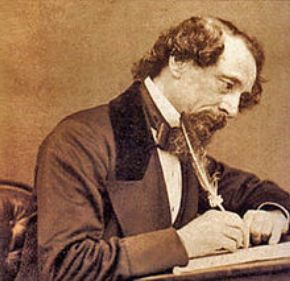 Throwback Thursday: Was Charles Dickens a Socialist? MR. CHESTERTON has been violently protesting of late against the somewhat frequent assertion that Dickens was a Socialist. The great novelist of democracy had been assigned to that fold, which some seem to think embraces all philanthropic souls, by Mr. Edwin Pugh, his latest biographer. Mr. Chesterton reviewed the biography [Charles Dickens: The Apostle of the People (1908)] in a London paper, and now the two are at loggerheads over the question, one trying to push Dickens into the Socialist camp, the other trying to drag him back. “Mr. Pugh thinks that the democratic sentiment, obviously strong in Dickens, amounted to amoral sympathy with what is called Socialism,” says Mr. Chesterton in the London Daily News (February 27). His own reply is that “obviously enough,” “there is nothing especially democratic about Socialism.” This is of course one of Mr. Chesterton’s diverting side-steps; but in taking it he tries to indicate what the position of Dickens really was.